Maharajah - the word evokes the East, 1001 Nights and dreams of a never-ending journey. In 1872, S.T. Dupont began designing exceptional pieces for the elite of this far-off world: luggages, leather goods and accessories. In the 1930's, a Maharajah commissioned a gold lighter as part of his travel accessories. Now, S.T. 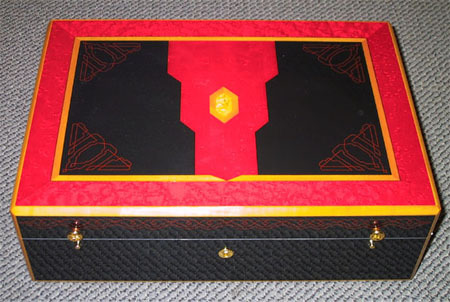 Dupont has drawn on its history to create a limited edition that reflects these Eastern splendours. Fine materials worthy of kings: gold, mother-of-pearl, black and coromandel Chinese lacquer create magnificent effects and harmonious tones. The lighters are packaged in special boxes made of the finest leather. This exclusive Limited Edition is comprised of the 3 items: 500 Table lighters, 2000 pocket lighters (superhammer model), Humidors (500 pcs). 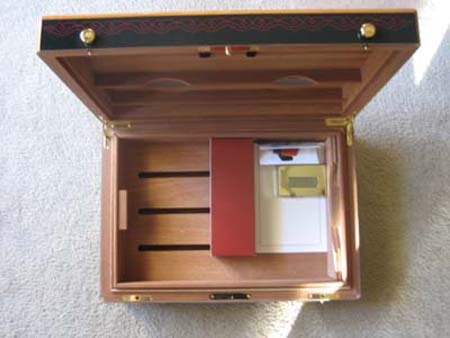 The Humidor is brand new, never used, always kept in the original box and has complete packaging. Comes with 2 humidifiers, digital humidity gage, removable try. 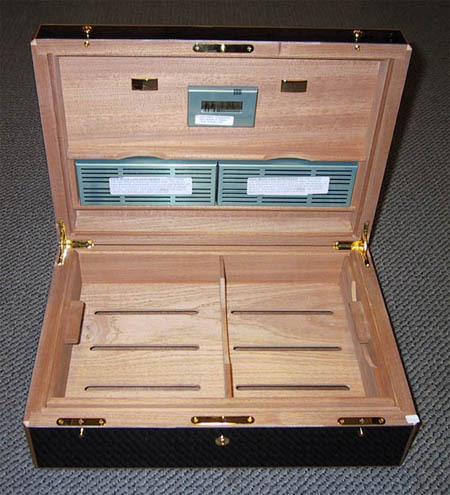 Holds approximately 150 finest cigars.